I had the opportunity to attend drupa, the Olympics of Graphic Communication trade shows, in Dusseldorf Germany. The show comes only once every 4 years and it's 14 days long. Fourteen days of trade showing is A LOT of time on your feet, listening and sharing information! I needed a way to organize myself and in the back of my brain I developed a simple framework that has been getting stronger and stronger each day since then. I began to hone a particular business mindset that frames much of what I see and do in business today. I believe it's worth sharing because I have found others benefitting from it, and now I'm looking strengthen it- I welcome any input! Below are six areas of business that can be used to organize yourself in your own business, or you could even use it as a filter to look at your customer's business too. Strategy: This is all about where you are and where you want to go. It's the high-level look to help you work ON your business even though we typically spend the day-to-day working IN the business. Does the current direction align with where you want to be? Does the current direction align with current customer needs? Does the current direction align with new customer needs? If so, how's it going, and where are the roadblocks? If not, how come? What will it take to move in that direction? Product/Service Offering: As an organization, you DO something. This represents the products/services you offer to keep the customers you have and obtain new ones. What one product/service do you sell the most? Why? Is it profitable enough? Does it lead to more profitable business? What is the most profitable product/service you offer? Least profitable? What are you doing to align your marketing and selling efforts to sell more of this? If you could add any product or service not currently offered, what would it be? Why? How does it align with current customer/new customer needs? What are you doing to find out if what you deliver to your customer meets/exceeds their needs? What else does your customer need (not know they need) that you could be offering? Marketing: This represents the processes by which you identify what people want and lets them know you have it for them. Do you actively identify and continue to find out what customers and prospects want? Do you follow a process as you do it? Is it measurable? Is it repeatable? If you do, do you take the time to review and improve it? How do people who don't know you/your organization hear about you? What are the perceptions of what you do for your customer? Have you considered using a marketing approach to review and help your customer with their business? Sales: This area is all about creating business transactions that give people/organizations what they want or didn't know they could have. 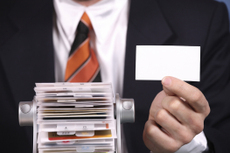 Do you have a sales process? Why/why not? Is it measurable? Is it repeatable? Do you take the time to review and improve it? What is the most successful way you/your organization interacts with a customer for the first time? What channel do you use (direct mail, web-based, face to face, phone, etc.) and what do you say? How does it change as a suspect becomes a prospect and then a customer? How do you get to what makes your organization more profitable/successful? Workflow: This represents the people, processes and technology working together to enable profitable work to happen. This is how you create, develop, build and improve what it is that you DO for your customers. Do you have a process to identify the bottlenecks in your existing workflow? Why/why not? If you do, what do you do about it once you find them? What holds you back from doing more in less time at less cost? What could you spend (time and/or money) and be more efficient at the work you do? How can you use this thinking to go after business from your customer? What if you made their workflow "better?" What would it take to make it happen? Finance: This area represents the cost of doing business, the tracking of time, money and resources to make it happen, as well as the ability to report on the profit/loss of the organization. How do you track the costs of operation? How do you set pricing? How do you set/interact with the budgets for each area of the business? Is there a documented process; is it measurable and repeatable? What, if any, investment is made in the development of future success? Think of each as a frame by which you can look into your business, or any business for that matter, and identify what is working and what isn't. Although you may think like this, do all the employees think about all six of these even though they may only work in one of them? Think about the benefits of a more holistic look at what gets done, isn't getting done or isn't being done well. This mindset could help justify the change each and every organization needs to do every day to be successful. What do you think of this list? What would you add, take away, do better? I'd like to know! How far can you swim? In 2010 I learned to distance swim (sure I could swim, but not very far) and completed two Sprint Triathlons, one Olympic Triathlon and one Half Iron Man Triathlon. Before you start thinking it’s no big deal for someone who does this all the time I want you to know I had never participated in a triathlon before. I had also never swum more than a couple of laps. I realized early on that the mechanics of the stroke are easy to observe and harder to practice but it’s the breathing that made all the difference for me. When I relaxed and focused on my breathing I found myself able to learn more, practice more and do more﻿. After a few months off I got into the pool today and was surprised that even after a shaky two laps at the start; much of what I had learned came back to me and I proceeded to have a great workout. The first few workouts I had in 2010, as I learned to distance swim, were not so smooth. Not being able to swim more than a few laps because of fatigue, swallowing water, hitting my head, water up my nose, rushed strokes and so many more struggles was frustrating to me. I remember back to other activities in my life that caused similar frustration: golf, snowboarding, public speaking and teaching just to name a few. As the year went on it wasn’t so new anymore and I worked on perfecting how I performed. Time and time again I came back to my breathing. The intake of energy and the exhale of waste whether in the pool, on the bike or pounding the pavement drove me, powered me, centered me and allowed me to do more than I ever thought I was capable of doing. No, I wasn’t first…or even in the top 25% of finishers in most of my races, but at least I was conditioned to do things most people only dream of doing. 2011 is off to a fast start and I find myself struggling to find my breath in my business. Calls and e-mails to return, blog posts to get done, social networking updates to be made, new services to develop and sell, marketing to research, billing…and oh taxes too! I know I’m not the only one; I’ve spoken to others and heard similar woes. Today I sat and reminded myself I know how to run my business. There are new things I want to do too and I can add them once I prioritize what needs to be done. I realized I need to take time to breathe and look at our strategy of where we are and where we want to go. Breathe and look at what it will take to get there. Breathe and engage the resources we have or bring in others to get it done. Breathe and measure the effort to show it’s worth the return. Breathe and consider my customers can use our help to do the same for their business. What can you do to help your customers find their breath? What can you do to help your customer to be successful, sell more, win new customers and show the customers they have why they should keep doing business? You can help your customers grow their business and you can grow your business too. That’s what business development is all about. Finding your breath and helping others do the same. Share your thoughts on finding your breath or helping others do the same by posting a comment. ~Keep the learning going...pass it on. There are plenty of people for whom creativity is the main fuel for their day. Designers, marketers, artists, chefs all exist in environments that demand fluency in creative thought. However, there are a lot of jobs that center on process, routine and analytical thought where there isn’t a lot of room for creative thought. Neither extreme can lead to a completely successful career; “creatives” still need processes and business acumen to grow and market while “suits” need creativity to find new opportunities and innovative solutions that enable evolution and expansion. Most people appear naturally towards one end of the “creative”/”suit” spectrum. The lucky ones are those who incorporate their “creative” or “suit” status in their work but it is the successful professionals who acknowledge where they fall and seek ways to move towards the other end. So, I ask you where do you fall on the “creative”/”suit” spectrum? If you’re a “suit” how do you try to introduce creativity into your work? If you’re a “creative” what ways do try to embrace process and analysis? I challenge you to determine where you fall on the spectrum and work to move yourself towards a more centered place by exploring a way of working that may not be natural but will be more fruitful. I've Got 1,000,000,000 Followers I'm Successful. Right? When discussing social media with businesses already actively engaging channels like Twitter and Facebook I often hear them tell me how many followers or fans they have as though this number is directly representative of their success or influence. It isn’t, not automatically. Each “follower” or “fan” represents a potential new customer, a new business opportunity or an existing customer/colleague interested in seeing what you have to say (or offer). However, simply acquiring more and more opportunities does not a successful business make. While it is nice to see the numbers grow it is even nicer to see the business grow as well, then you can consider your social media efforts successful. Your “followers” all expect something of you, whether it is as simple as a few regular entertaining posts or full conversational interaction, they’ve all chosen to follow you for some reason. To effectively turn the numbers into business opportunities you need to give them what they are looking for. At first this can be easy, just ask. Then, listen; really listen because what they those initial followers tell you will help you build a scalable social media strategy. If they want to get a glimpse of your prowess or insight then give them informative posts. If they want updates on new products then use status messages to keep them up to date. Build your social media strategy – like your customer service strategy – according to what your customer expects. As the numbers grow it will be a lot harder to give each follower individual attention. Most likely, though, the expectations of your “fans” will begin to fall into categories that, if you’ve really listened, will be addressed by your social media strategy. A scaleable social media strategy, however, is only possible when you stop simply counting your followers and start engaging them. Is Event Marketing For You? Are you considering hosting a customer event? Not sure of the potential benefits or reasonable motive for organizing an event campaign. Often when we ask people why they host customer events is “to sell stuff” and while from a very base perspective that may be true, there a number of other more nuanced motives that can help you decide whether a customer event is the right strategy for you. Here are five considerations that may help you decide whether event marketing is right for you. Do you have an event idea that will be a memorable or educational experience? Keeping your customer’s interest and needs in mind organize an event that will be informative or provide a solution not necessarily tied to your products or services. Putting their interests first will position you positively in their minds, building the customer relationship and, hopefully, their loyalty. In the past have you relied entirely on one or two forms of marketing campaigns? Whether they are successful or not a little change in your marketing formula can jumpstart your customer’s engagement and lure new customers. Events are a dynamic way to present information and build your audience’s familiarity with the people in your company. Is your sales team tiring of the usual routine? Giving your sales team the project of organizing and executing an event can help them gain a new perspective on their customers and the sales process. New opportunities can blossom from employing a new approach. Are demonstrations or examples a central part of your business? If you plan an event that incorporates a demonstration or samples in a unique way benefits will be more memorable and, in some cases, unanticipated opportunities might arise. Additionally, with more people watching a demo or receiving samples a customer may be more likely to be influenced by their peers. Events can be a more direct and influential sales strategy. Do you ever see your customers face to face? For a lot of people a little face time can do wonders in building their comfort with a company’s products or services. Often, that comfort will lead to sales and, if the relationship is maintained, a long term loyal relationship. Of course, there are more factors you will need to consider once you’ve decided an event is something your company could benefit from like budget, theme, delivery etc. Hopefully this list will get your thinking about the possibility of event marketing. Earlier this week I came across an excellent article about the link between curiosity and living a happy healthy life. It outlines the ways being consistently inquisitive can contribute to healthier brain activity, IQ and relationships, as well as, increased happiness and personal satisfaction. I am a huge proponent of creative thinking and would like to think curiosity has fueled some of my more inspired moments so, the correlation presented in this article weren’t a huge surprise. However, the article did get me thinking about the benefits of incorporating “curiosity breaks” into a personal workflow. Allowing yourself a bit of time each day/week/month dedicated to pursuing new interests or random thoughts may lead to the new business opportunities you’ve been attempting to discovering through more traditional channels. Learning about a new hobby, culture or experience can reveal a new industry/audience in need of your products or services or a new solution you can adopt to expand your offerings and attract new clients. Exposing yourself to alternate environments and processes can shake up the way you approach your existing projects and customers. We all tend to fall into a pattern of thinking about how we do our work and the methods we use to solve problems. Investigating new topics – as assorted as they may be- can break up cyclical thinking and unconsciously new context and mindset can sneak in, breathing fresh life into a stale routine. Even something as simple as observing someone else do their job in an entirely different professional sphere can inspire new ideas for improving your own work. A “curiosity break” could also be the fix for a mental rut, those periods – sometimes weeks long- when you can’t seem to operate as productively as you’d like. Allowing yourself the leisure of curiosity replenishes mental creativity and energy. On a larger scale embracing curiosity can help you become more satisfied with your life & work. Building your knowledge and familiarity with an assortment of activities, cultures, hobbies, place or wherever your interests lead brings more opportunities for enjoyment into your daily reality. The more you engage your mind and it’s curiosities the more energized your overall outlook will become. Investing in an intentional curiosity practice and truly integrating creative wonder into your routine will unleash a ripple of fulfilling satisfaction through your entire perspective. In the process of writing this post I have reminded myself how important my varied professional interests have been to creating a rich, dynamic and satiating career. I would encourage you to start making time for “curiosity breaks” in your routine. For some simple ideas on how to start feeding your curiosity refer to "The Power Of Curiosity"
How often do you talk trends? With your coworkers? With your clients? A trends discussion is one of the best conversations you can have both in terms of personal and business development. Every morning I read at least five articles or blog posts about new trends and what I learn serves to inform my work but the real potential of all of this new information isn’t realized until I share it with others. When I get the chance to discuss, and sometimes debate, new developments in my industry with coworkers and colleagues I learn more about their understanding of and experiences with new technology, strategies and services. I usually walk away with a much more informed understanding of the issues and, more often than not, I find out about more new industry developments. Sharing trend knowledge with customers serves to improve my relationship with them because it transcends the usual “what do you need from me” conversation to one based on an exchange of ideas and information centered on improving their strategy and business. When I become a resource for new processes, strategies and technology my clients are more likely to rely on my advice and services to help them navigate new opportunities. If you bring this kind of conversation to your customers, detached from any sales motive, they will recognize your dedication the betterment of their company. When there is trust in a relationship there is the tendency for return business. Trends discussion can help you build that trust. New trend information is readily available via the internet, print publications, etc. Go seek it out, make it part of your routine and then pass the knowledge forward. Looking At Numbers: 2nd ed: Where Do Numbers Come From? Before any project can be attempted you must assemble the materials. If you’re cooking you need ingredients, if you’re crafting you need materials and if you’re playing with stats you’re going to need numbers. The group of numbers you use in stat analysis is called a data set. Data sets can be compiled from a variety of sources in the name of an endless assortment of informational pursuits. On one end of the spectrum there are small sets quantifying, for example, a small business’s marketing expenses while on the other you have extremely large collections like the US Census. The numbers contained within these sets are the colors with which you will use to paint your greater picture. If you’re attempting to get a better sense of your business’s operations – past, present, and future – then your data set will be mostly made up of information derived from your own records. If you’re attempting to determine where your company fits within a larger context or simply conducting wider ranging research [industry, market, location, etc] you will need to find bigger data sets. Finding the numbers can be a bit tricky if you don’t know what you’re looking for. So, I have broken the search for numbers down into small, medium and large-scale resources. Quickbooks Report Library: This is just an example of one financial tracking program but whichever you use to maintain your company’s finances should have a number of reports through which they can run the numbers you enter. From marketing expenses spent in the first two months of 2003 compared to those spent in the first two months of every subsequent year to a full analysis of your company’s financial status these reports can prove invaluable when trying to get a grip on what is working and what needs attention. Google Analytics: This tool will allow you to track and measure the traffic on your website or blog. Any analytical tool will work but ones that provide you understandable and clear reports are best for beginners. Survey Monkey: If you need to get more specific feed back you can organize your own survey to send to customers, employees, vendors, etc to get targeted feedback on your company. These can be used if you want to take a few steps back and examine your/your company’s work in a wider context. If you’re looking to expand, change your product/service mix or simply get inspired a greater perspective can be useful. Industry Analysis Each industry has at least a few institutions –often associations- dedicated to gathering information and providing analysis. These can give you vital information on the state of your industry and where it is projected to go. These reports are pricey endeavors so be prepared to spend some money. But, if you do your research on the quality and reputation of the reporters it can be an excellent investment. The Data Market Place: This is a great repository to solicit others to do research for you. Or, if they already have the research this is a great way to see what sets are already out there. Again, it costs some money and it is in your best interest to do some research but it is a great option for more obscure data searches. These are humongous data sets often amassed over long periods of time and intended to support trend and historical analysis on, in some cases, a global scale. US Census Results: Every ten years the US gathers information on residents – regardless of legal status- to get a benchmark for myriad statistical points within our country. If you have the time to sort through the massive amounts of information you can find some great data sets to use for your business. Pew Research: There are many large institutions that conduct unbiased wide ranging researches. They can be a good resource for information you may not even know you needed. Abstracts may be free/cheap but the full reports will cost you. If you want targeted information it would be wise to research PAC’s or other issue focused institutions. These options should provide you a good jumping off point. But, if you are simply interested in exploring some data sets and playing around with numbers I would suggest James Davenport’s Assortment of interesting data sets. They are user friendly and rather interesting. I took the last blog post about "What Method You Lead With?" and developed it further and included some self analysis activities. Let me know what you think. Would you use it? How? Do tell. Have you ever read a sales book? How many have you read? If you’re in sales you should at least read 3-5…at least! Comparing what you know about selling to the way someone else sees it can help make your approach even better. You don’t have to do what others do, but evaluating the way it may work for another can help you evaluate your own. SPIN Selling, Selling to VITO, Zig ZIglar’s Secrets to Closing the Sale, and the Little Red Book of Selling are all great sales reads in my opinion. I know you may be thinking three Americans and a Brit don’t know what it’s like to sell in my market or in my country, but selling today is a global thing. If you don’t like these, look for the leading sales books in your own country and read one or two. The goal is to see how others sell and review your own process to see if you can improve it. I bet you’ll find at least one idea. As for me, I've read my share, well over 50, and I enjoy hearing how different people approach the opportunity before them and make the move to closing business…or moving on to the next one. Over the last few months I've been asked to speak more and more about the best sales methods. (Funny, when economies slow down people start looking at what's not working now—when they should be doing that when it's working too!) My short answer is that there is no "best" method. The one that works for you may not work for someone else. The one that works for your competition may not work for you. And so on. In my analysis of many selling methods I have identified three drastically different approaches that can develop a different customer relationship and return on that relationship based not only on the general efforts made, but also the specific activities you choose to do (or don't do as you'll see). Wait: If you use the wait approach to new business...and existing business too, you literally are waiting for business to show up. You may spend your time preparing for the work you will get or maybe you are busy working on work you already have. There's not much effort in this method...but there is often time hoping for more work, praying for more work, or spending time complaining that no work is coming in. Last time I checked, there are very few investments where some amount of up front work, effort, or capital is required before you can enjoy any return at all. Look: I believe this method is not only the most popular, but it has also worked for many up to this point. You know the core product or service you offer and you spend time going out and looking for companies who need what you have. This approach often leads to asking the potential customer, "Do you want to buy what I'm selling." Or asking an existing customer, “I know you bought some in the past, do you want to buy more today?” Some people are incredible at this method. The number of calls they make in a day, people they see, e-mails they send are all part of their ROI factor of "looking." They measure the effort by how many things they did to sell, rather than the return they got from their selling efforts. People who use this method would try to find people who need what is being sold. When people are buying this is a great method. But it’s not such a good method when people aren't buying. Create: This is often the least used method to lead with. But as of late, the few who do use it are enjoying deeper and more valuable relationships with particular customers. This method can deepen an already existing relationship or it can help you get the attention of someone you've never done business with. In this method you spend time thinking creatively about ways to help your customer. Perhaps it’s about helping them make money instead of just saving it, saving time in their business or making them look good to a new type of customer they are trying to go after. The difference is that you're not saying, "Do you want to buy what I'm selling," you're leading with a developed set of ideas you created to help that customer's business. The “create” approach can sound something like, “I’ve done the best I can to understand you, your business and your customer and I believe I have some ideas that can help you beyond cost savings alone.” It may take more time to understand the customer's business or their relationships with their customers but it's an easy way for you to differentiate yourself by putting the customer’s business in the middle of your efforts and showing them how to grow and go further in their business enabled by your ideas. It sets you apart from your competition AND the potential to have a long-term relationship is not based on price, quality or turn around time only. Individuals who lead with this method may not win all the business and it may take more time, but the practice in developing the ideas and selling them to others makes for a more knowledgeable, creative and experienced salesperson. I consider this a business development mindset. I own a small education and consulting business and I’m the principal sales person in my organization. In my life I’ve spent some time “waiting” for sales to come in, I also recognize this approach has led to some of the most stressful times. I’m not much of a “looker.” I don’t call, e-mail or visit people and ask, “Do you want to buy some training?” I identify people from my day-to-day experiences who I believe are worth my time to be creative and see what I can do to help them as an individual and as a business. The “create” method has also gotten me in trouble too. I’ve often developed incredible ideas to help my customer but capturing them, putting a proposal together, developing the solution and delivering it all can be hard to do. But, I also recognize this method has pushed me to close some of the most profitable sales I have ever had. Do I have a sales method or a process I can explain to someone else? If not, why not? If so, write it down now! Is the sales method simple and repeatable? If not, why not? If it is, can I make it even simpler and more repeatable? In my sales approach do I use my existing knowledge, products and services to help my customer beyond cost savings alone? Why, why not? What if I did? How could that change my relationship with the customer? How would my potential customer feel if I explained my sales method to them? Would my existing customer feel any differently? Do I spend time evaluating other sales methods? Why, why not? How has my method changed in the last year? In the last three years? In the last ten years? What can I do to close the sale for more money using my existing business? And for more profits instead of revenue alone? What one product or service could I add to my existing business and close the sale for a higher price? How would my answer change if I considered a totally new customer base I don’t call on today? If I do nothing at all to modify the way I sell today, will it allow me to differentiate myself from my competition a year from now? Three years from now? If my competition took the time to answer these same questions could they win more business? Why, why not? I know your busy doing something. But you did take the time to read this article and that already sets you apart from everyone who didn’t. You’re willing to see another way of doing things. If you took a little more time and answered the questions above you could have a more profitable future. I know it’s one I’m interested in and I bet your customers are interested in one too. Help them see it as part of your approach to them. If you’d like to share your answers to the questions so I can learn more and share more with you and others, please send them to my e-mail. Thanks for helping me improve my approach. I hope my ideas helped you improve yours too! What Method Do You Lead With? Have you ever read a sales book? How many have you read? I've read my share, well over 50, and I enjoy hearing how different people approach the opportunity before them and make the move to closing business or moving on to the next one. Over the last few months I've been asked to speak more and more about the best sales methods. (Funny, when economies slow down people start looking at what's not working--they should be doing that when it's working too!) My short answer is that there is no "best" method. The one that works for you may not work for someone else. The one that works for your competition may not work for you. And so on. In my analysis of different selling methods I have identified three drastically different approaches that can develop a different customer relationship and return based on not only the general efforts made, but also the specific activities you choose to do (or don't do as you'll see). Wait: If you use the wait approach to new business...and existing business too, you literally are waiting for business to show up. You may spend your time preparing for the work you will get or maybe you are busy working on work you already have. There's not much effort in this method...but there is often time hoping for more work, praying for more work, or spending time complaining that no work is coming in. Last time I checked there are very few investments where some amount of up front work, effort, or capital is required before you can enjoy any return at all. Look: I believe this method is not only the most popular, but it has also worked for many up to this point. You know your core product or service you offer and you spend time going out and looking for companies who need what you have. This approach often leads to asking the question, "Do you want to buy what I'm selling." Some people are incredible at this method. The number of calls they make in a day, people they see, e-mails they send are all part of their ROI factor of "looking." People who use this method would try to find people who need what is being sold. And when people are buying this is a great method. Not so good when people aren't buying. Create: This is often the least used method to lead with. But as of late, the few who do use it, are enjoying deeper and more valuable relationships with particular customers. This method can deepen an already existing relationship or it can help you get the attention of someone you've never done business with. In this method you spend time thinking creatively about ways to help their business. Perhaps it's helping them make money, save money, save time or look good to a new type of customer. The difference is that you're not saying, "do you want to buy what I'm selling," you're leading with a thought out set of ideas you created to help that customer's business. It may take more time to understand the customer's business or their relationships with their customers but it's an easy way for me to differentiate myself by putting your business in the middle and me showing you how to grow and go further enabled by my ideas. It sets me apart from my competition AND the potential to have a long-term relationship is not based on price, quality or turn around time only. Individuals who lead with this method may not win all the business and it may take more time, but the practice in developing the ideas and selling them to others makes for a more knowledgeable and creative salesperson. I consider this a business development mindset. What method do you lead with? What do you think of the three I listed here? Drop me a line and let me know? What does it mean to be a Renaissance Man? After some intense thought and brief research, I found that a Renaissance Man is thought to be a man or a woman of many accomplishents. The success of these accomplishments is in part due to the Renaissance Man's proficient knowledge in a wide range of fields. 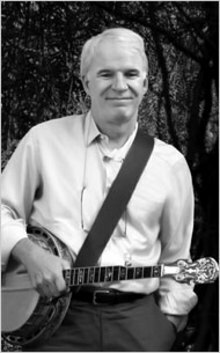 step-by-step take, by Steve Martin, on how he accomplished his success. In business terms, Born Standing Up is about the process. It's healthy to ID what customers need and then give it to them, but having a process in place on how to accomplish giving the customer what they need is stellar. Do you know your process? Beth Schneider over at Process Prodigy has nailed the topic and has created a business based on processes. It is my understanding that in order to be successful in your deliverables for the customer, you have to have a process (system) in place to be sure it happens the way it's supposed to happen, every time. What's your process for keeping your customers? Send me a comment, I'd like to know. And if you've read the book, what are your thoughts about it? The hot summer months are officially upon us and despite the fact that there are less hours worked and more time outdoors, make it a point to keep the networking going. The summer offers endless possiblities of squeezing some "getting to know you" moments in. For instance, weddings, picnics, conferences, camping trips, get togethers, vacations, family reunions...you get my point. I read an article by Buzzy Gordon over at About.com about the power of meeting new people, finding out what makes them tick, things they need help with, and making an offer to stay in touch. Creating a system on how to follow-up, well, that's another post, but check out the article here. Let me know your networking plans during these hot summer months. I know I'll be out and about making new friends and exchanging contact info. Gaining an international presence in your industry is a process that doesn't have to be long and drawn out. It just takes some proper planning and stamina. I'm hoping that my thoughts will give your company the boost it needs to get out there...in a major way. These tips are a great way to realize the culture and really measure whether your selected country would benefit from doing business with you. This gives your company an edge and a true understanding of what you're getting into. Again, you want your motives for doing business in the selected country to be crystal clear so when asked, you will be able to communicate the company's objective(s). The next BIG question is how long should it take before your company is actually delivering its product or service? That time is up to you and your team. Like anything, you want to craft your plan, talk to as many companies or contacts who are already global, and take measurable action. To keep the idea of going global exciting, check out the blogosphere. I've recently discovered this blog doingbizabroad and international business is the primary topic. Do you have any ideas about going global or other great blogs focusing on this topic? Until then, create your plan and stay focused on the vision. Have you ever stopped to think… what is a consultant? I’ve been pondering the true definition of this profession myself and according to the dictionary, it is defined as a person who gives professional or expert advice. In fact, there are a ton of how-to websites for one who might consider this practice. For me, a consultant is someone who gives perspective. People pay therapists to provide perspective about a current or past situation in their lives. And in looking at it this way, I started thinking about the independent contractors that I hire to help keep my company going, and the truth of the matter is I can do everything that I pay them to do. All I’m doing is seeking perspective. Gaining perspective gives you a choice. Having a choice gives you the freedom to reach your full potential. Is that what being a consultant entails? I think it pays to have perspective or receive a different point of view. When you really look at it, all of you are my consultants or anyone who comments on a blog can act as a consultant. You’re comment simply validates that particular thought or challenges the blogger to see the topic in a different light. The spring of technology and its access has put all of us in the driver’s seat, and that’s something to be excited about.